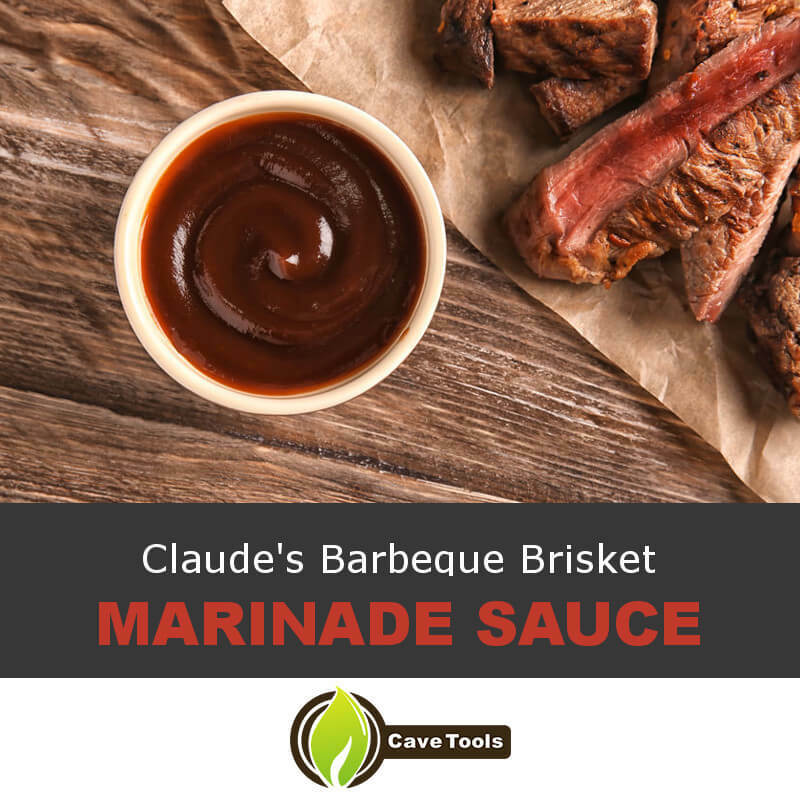 If you have never tried Claude's Barbeque Brisket Marinade Sauce then you are missing out on a world-class flavor that no seasoning mixes can reproduce. Adding this sauce to any succulent beef or veal brisket is like touching the meat with a bit of heaven. Claude's Barbeque Sauces are some of the best on the market today, guaranteeing not to disappoint you. With this brisket marinade sauce your next dinner will be worthy of a Christmas main course and guaranteed to surprise all your friends and family. In the article below we'll walk you through an absolutely delicious beef brisket recipe that uses Claude's ​Brisket Marinade Sauce to its fullest potential. The sauce is perfectly blended specifically for best brisket, so you can be assured that it will match the meat cut perfectly. No grocery store bought sauce can match this deliciousness with its unique blend of natural spices. With this brisket marinade sauce your barbecue brisket will be better than any Texas style brisket you've ever tasted! 1. Large Stainless Steel Frying Pan - Nothing heats more evenly and consistently than a stainless frying pan. You'll need this kitchen item in order to perfectly blend your sauce and oil ingredients together. You'll be using this sauce to flavor your mouthwatering and succulent beef brisket. A high-quality pan such as this will guarantee that the sauce ingredients will not burn or stick to the sides of the pan, creating a burnt or very unpleasant flavor within your flavoring mixture. 2. High Powered Handheld Blender - Due to the fact that some of your sauce ingredients will consist of large coarse onion and garlic pieces, it is absolutely necessary that you have a high powered handheld blender in order to blend all of the ingredients together into one smooth and even sauce mixture. The great thing about a handheld blender is that you can puree the sauce right in the saucepan itself, meaning you don't even have to remove the sauce and place it into a new container or vessel, which might be difficult due to its hot temperature. 3. Large Roasting Tin - One of the most important kitchen items that you need when making a brisket is a large roasting tin. Without such a large cooking vessel the prospect of cooking a brisket is impossible or very difficult. Make sure that your roasting tin has high enough sides that it can hold all of the sauce and juices that will eventually be running off of the mouthwatering meat. It is important that the brisket simmer in these sauces and juices, as it is an important part of creating a world-class brisket flavor. 4. Coaled Powered Barbeque - This recipe tutorial requires the use of a coal-powered barbeque. As an expert BBQ pit master will tell you, there is something very special about the flavor that a coal-powered BBQ can produce. That rustic and earthy flavor that we all love cannot be replicated with an oven or other more traditional cooking device. Make sure that the BBQ that you use is clean and properly working, as you will need a strong and steady heat source to thoroughly and properly cook your thick and juicy beef brisket. 5. Sharp Double Pronged BBQ Fork - You will need a sharp double pronged BBQ fork in order to puncture the brisket to allow the sauce and flavoring to enter the beef much more deeply than it otherwise would. In our pro tips section down below we'll walk you through a trick that will help to maximize the flavor that your brisket possesses. Be sure that your BBQ fork has very sharp prongs, and you will need to be able to penetrate the meat deeply in order to allow the flavoring to seep deep into the brisket. 6. Long Sturdy Metal Cooking Prongs - During one of the final steps in the recipe tutorial you will need to turn the meat. You should never try to turn the meat manually, as you can get severely burned in the process. Due to the fact that a brisket can be a quite large cut of meat, be sure that you use metal tongs that are sturdy enough to handle the weight load. It would be an absolute tragedy to get almost all the way through the recipe tutorial only to attempt to the turn the meat and drop it on the floor due to using a pair of tongs that aren't strong enough to hold the beef's weight load. You can also burn yourself if your tongs malfunction while turning the brisket. Make sure you have the right BBQ tools for the job. In the recipe tutorial below we'll walk you through the exact ingredients and cooking instructions that you'll need to know in order to complete this amazing recipe. This brisket recipe has been fine-tuned to an absolute perfection so please follow the ingredient portions and instructions exactly if you intend to produce the best tasting brisket possible. The recipe is somewhat customizable, so if you decide to change the sauce ingredients you should be able to do so quite easily. 1. For the first step, you will want to create the brisket barbecue sauce. Take out a large stainless steel frying pan and heat your oil over medium heat. Fry your chopped onion and garlic cloves until both ingredients are tender and soft. 2. Add the remainder of your brisket sauce ingredients into the frying pan with the cooked onion and garlic pieces. Let these ingredients simmer for twenty minutes over medium heat, stirring frequently to prevent the sauce from burning. 3. Once your sauce ingredients are done simmering, remove the pan from the stove top and let the sauce ingredients cool for 10 minutes. Once the sauce has cooled, use a high powered hand blender to puree all of these delicious ingredients together. Stop blending once the sauce is smooth and even. 4. Heat your oven to 150 degrees Celsius or 300 degrees Fahrenheit. 5. Using a large mixing bowl, thoroughly whisk together all of the brisket rub ingredients. Once the mixture of the variety of spices is even and consistent, rub it all over your uncooked brisket, making sure to cover the entire surface area. Set the brisket aside. You can customize the ingredients depending on how spicy or sweet you want the mixture to be. 6. Using a large roasting tin, add in the beef stock and all of the pureed brisket sauce. Next, add the seasoned brisket to the tin and then cover it completely with tinfoil. Slide the brisket into the oven and allow it to cook for 4-5 hours or until the brisket is extremely tender when you stab it with a fork. 7. Once the brisket is finished baking in the oven, you will want to fire up your backyard barbeque with charcoals. Make sure that the heat is low, as you do not want to burn or badly char the brisket. 8. Place the brisket on to your charcoal barbeque grill and close the lid. Allow the brisket to cook for 20 minutes, turning it using a strong pair of sturdy metal cooking tongs. Remove the brisket from the grill once it is lightly charred on the outside. 9. Place the finished brisket on to a cutting board and slice it into thinly cut pieces that are ready to serve. Pro Brisket Tip - To maximize the savory flavor of your brisket, make sure that you thoroughly puncture it with a sharp double pronged BBQ fork before cooking it or rubbing it down with the seasoning mixture. 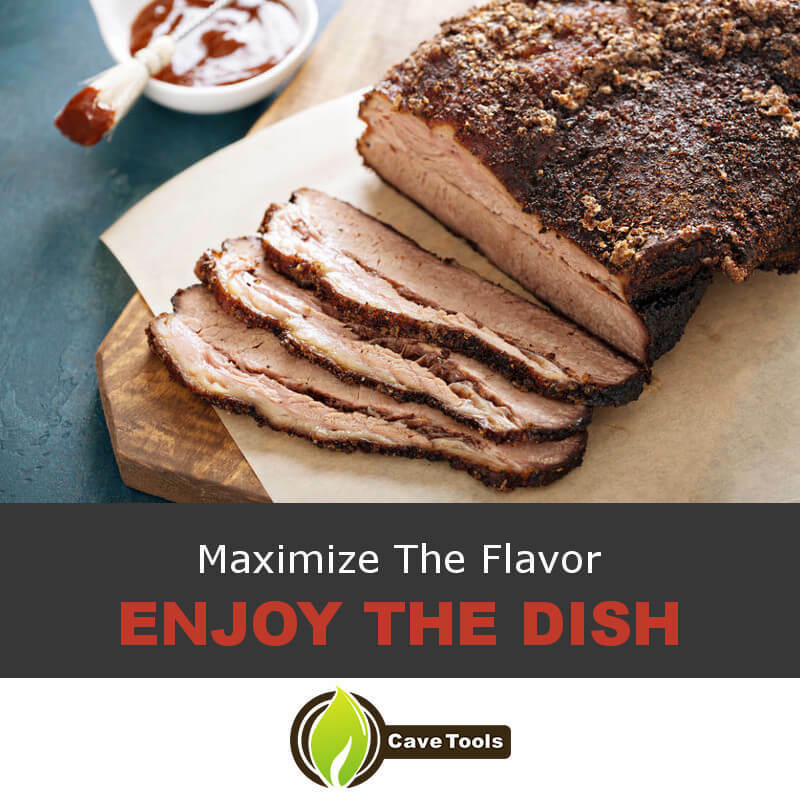 It is strongly recommended that you puncture the beef brisket approximately 20-30 times throughout, as these holes will help the brisket absorb some of the delicious sauce and seasoning flavors deep into the beef cut. 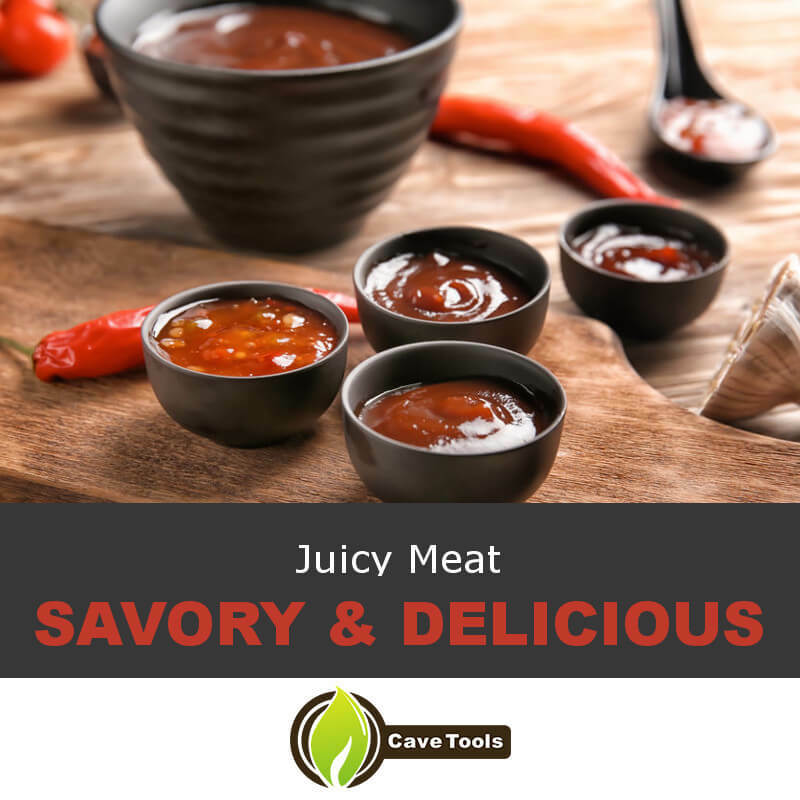 Did you have fun creating this heavenly Claude's Barbeque Brisket Marinade Sauce recipe? I​f you enjoyed this recipe the best marinade sauce then we would like to encourage you to leave us a question or some feedback in our comments section. We would also strongly encourage you to share this recipe with your friends, colleagues, and family members so that they can try it out as well. As you can now see by reading through the instructions list, creating this world-class brisket is not all that difficult. Completing the recipe to a perfection just takes a bit of time and a little bit of patience. With Claude's Barbeque Brisket Marinade Sauce you really cannot go wrong. Your next barbecue brisket will be out of this world with this barbecue brisket marinade sauce - more than just a barbecue sauce. Should I marinate brisket before smoking? We definitely recommend marinating brisket or applying a dry rub before smoking it. A brisket can easily turn out tough or dry if you don’t cook it correctly. Using a marinade or brisket brine is the best way to hydrate the meat, helping it stay nice and juicy as it cooks. Where can you find Claude’s BBQ Brisket Marinade Sauce? Claude’s Sauces are a unique blend of spices and liquid smoke without any artificial ingredients or preservatives. It’s an ideal addition to brisket sauces! You can find them on Claude’s website, or you can purchase the sauces on Amazon. How do you make BBQ sauce for brisket? We like using Claude’s BBQ Brisket Marinade sauce when cooking brisket because of the addition of liquid smoke. It really adds a depth of flavor that’s impossible to get without it! You could certainly make your own BBQ sauce by combining sugar, ketchup, and liquid smoke along with other spices, but Claude’s makes it that much easier. How do you make a tender brisket? One of the best ways to make a brisket tender is to use a marinade or a brine before cooking your meat. This will allow the meat to absorb excess water, keeping it juicy and moist as it cooks. You also need to cook your brisket low and slow in a 300 degree oven or smoker for five to ten hours, until it hits an internal temperature of 200 degrees F.
Do you cook a brisket fat side up or down? We recommend cooking a brisket fat side down. With many types of meat, you want to cook fat side up so the fat drips down onto the meat, marinating it as it cooks. Since brisket cooks for such a lengthy period of time, cooking fat side up would actually wash away a lot of the seasonings, resulting in a less flavorful cut of meat. For that reason, we recommend fat side down for cooking a brisket.